"Magic bullet ... with minimal deleterious effects on normal tissues." "The absence of side effects and the easy availability and handling of iodine have allowed the establishment of clinical protocols to utilize iodine supplementation as an adjuvant in therapies against cancers that take up iodine." Carmen Aceves, PHD, and Brenda Anguiano, PHD, 2015. MAYBE A CAVEAT TO SUPPLEMENTING WITH IODINE? 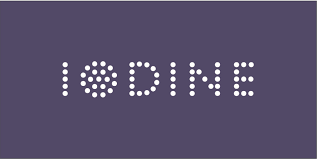 "Antineoplastic Mechanisms of Iodine in Cancers That Take Up Iodine ." ​How does iodine help to have a suppressive effect on cancer? "These effects can be mediated by a variety of mechanisms and pathways, including direct actions, in which the oxidized iodine modulates the immune/tumor response and through iodolipid formation and the activation of peroxisome proliferator- activated receptors type gamma (PPARg), triggering apoptotic and/or differentiation pathways." SEE BELOW. cancer cells were treated with increasing GW9662...."
Iodine is not just for the thyroid gland. In their 2015 study, prominent iodine researchers, Carmen Aceves, PHD, and Brenda Anguiano, PHD, elaborated upon iodine's effect upon cancer in organs, in addition to the thyroid, such as the breast, that take up iodine.
" ...Iodine can be an antioxidant as well as an antiproliferative and differentiation agent that helps to maintain the integrity of several organs (such as the breast) with the ability to take up iodine. Studies from our laboratory have shown that in preclinical (cell culture, induced animal cancer and xenographs) and clinical studies (mammary cancer protocol), iodine supplementation exerts suppressive effects on implantation, development, and progression of cancer neoplasias." "These effects can be mediated by a variety of mechanisms and pathways, including direct actions, in which the oxidized iodine modulates the immune/tumor response and through iodolipid formation and the activation of peroxisome proliferator- activated receptors type gamma (PPARg), triggering apoptotic and/or differentialion pathways." In Vega-Riveroll L's 2010 study, the researchers studied the effects of supplementing with iodine prior to tumor removal. The researchers had previously found in animal models that supplementation with iodine reduced "the incidence of mammary cancer in an animal model (50-70%)". How about in breast cancer patients? Women who had been diagnosed with early stage breast cancer, via mammography and a biopsy, were given 5 mg of iodine for two-to-five weeks prior to the removal of the entire tumor. Another group of similarly diagnosed early stage breast cancer patients were given a placebo. * "The results showed a significantly lower proliferation rate with iodine than with the placebo." * Specifically, the apoptosis ratio (Bax/Bcl2) increased, but p53 (tumor suppressor gene) levels did not change. * The iodine had no effect on thyroid markers. * The tumor size did not change. ​ Iodine is a chemical element in the halide family. Iodine means violet or purple due to the hue of its vapor. Iodine is just one of the elements in the halide family. The other significant halides include bromine, fluoride, and chlorine. "... The exposure to toxic halides - bromine, fluoride, and the chlorine derivatives - have been increasing over time. These items not only cause iodine deficiency, they can poison the enzymes responsible for organifying iodine." Iodine isn't just integral to the formation of thyroid hormones, but it is in every cell of the body. Iodide is oxidized to iodine, and it is iodine that is preferentially used in breast tissue. ... Dr. David Brownstein, Iodine Why You Need It, Why You Can't Live Without it, Medical Alternatives Press, 2008. Here are some thoughts on iodine and the prevention of breast cancer. ​"In conclusion, iodine appears to be a compulsory element for the breast tissue growth and development. It presents great potential for its use in research directed toward the prevention, diagnosis, and treatment of breast cancer." *"Is Iodine A Gatekeeper for the Integrity of the Mammary Gland?" "Iodine plays a major role in the maintenance and development of breast tissue." In an experiment conducted on rats, the iodine-blocking toxin, perchlorate, was given to rats at a dose of 400mg/100 ml for eight weeks. The results were that there was a reduction in iodine uptake by greater than 52% in the rats' breasts that were iodine-blocked than in the rats' breasts that were not iodine-blocked. The histology revealed "atypia and some pleomorphism of the cells, particularly in the glands of the lobules". Conclusion: "By this blockade the responses of iodine inadequacy in the breast were shown to cause abnormal tissue changes relative to the percentage of the block obtained." In accord, Dr. David Brownstein believes that iodine deficiency may lead to cysts, which can then become "hard and nodular", and progress to hyperplasia, a condition preceding cancer. Dr. Brownstein wrote, "Iodine deficiency disrupts the normal architecture in the glandular tissue. When iodine deficiency is present in the glandular tissue the architecture becomes disrupted. Cysts would be the first manifestation of iodine deficiency. Next, if iodine deficiency continues, the cysts can become hard and nodular. Hyperplasia follows next. It is a precursor to cancer. The final step in the iodine deficiency continuum is cancer." ​While fibrocystic disease that involves hyperplasia has always been associated with an increased risk of getting breast cancer, atypical hyperplasia (called atypia) has always been thought to confer more risk. Now there is a study not only finding that atypical hyperplasia is a "high risk" benign lesion, but for the first time, that atypia portends "absolute risk". Comments on study in Science Daily: "Women with atypical hyperplasia of the breast have a higher risk of developing breast cancer than previously thought, a Mayo Clinic study has found." Defining Atypia: "Atypical hyperplasia of the breast is a precancerous condition found in about one-tenth of the over 1 million breast biopsies with benign findings performed annually in the United States. Viewed under a microscope, atypia contains breast cells that are beginning to grow out of control (hyperplasia) and cluster into abnormal patterns (atypical). Atypia lesions are considered benign, but by its risk and appearance and genetic changes, they exhibit some of the early features of cancer." Risk of atypia? Atypia confers an "absolute risk of developing breast cancer grows by over 1 percent a year. The study found that after five years, 7 percent of these women had developed the disease; after 10 years, that number had increased to 13 percent; and after 25 years, 30 percent had breast cancer."... And, in addition, the researchers examined the pathology specimen. "They found that as the extent of atypia in a biopsy increased, as measured by the number of separate atypia lesions or foci, so did the woman's risk of developing breast cancer. For example, at 25 years post-biopsy, 47 percent women with three or more foci of atypia in the biopsy had developed breast cancer, compared to only 24 percent of women with one focus." In the Ghent WR et al 1993 study, the researchers sought to determine what effect iodine would have on patients with fibrocystic disease. Specifically, the researchers studied whether was subjectively "freedom in pain" and, objectively, whether there was "resolution of fibrosis". To this end, three trials were devised in which the patients were given sodium iodide, a protein-bound iodide, iodine, or a mixture of iodide and iodine. Iodide was much less effective than iodine and had side-effects. Conversely, in the patients in the third trial, who were given iodine, they had "65% subjective and objective improvement". Testing was conducted with "pre- and post-treatment mammography and measurement of serum triiodothyronine, thyroxine and thyroid-stimulating hormone levels." The dose of iodine was "0.07 to 0.09 mg/kg body weight". This equals about 3.2 mg to 4.0 mg for a one hundred pound person pf iodine a day. Conclusion: As opposed to sodium iodide, iodine did not hurt the thyroid and was the"most beneficial" in treating fibrocystic disease. EDITORS' NOTE: So, wouldn't iodine ameliorate fibrocystic-associated atypia? CAN IODINE PREVENT FIBROCYSTIC DISEASE WITH ATYPIA FROM PROGRESSING TO BREAST CANCER? BREAST TISSUE CAN TAKE IN IODINE! In the Eskin B et al. 1974 study, the researchers explored whether using radioactive iodine "parallels the abnormal breast tissue changes produced by iodine deficiency in rats." It had already been discovered that the concentration of radioactive iodine is higher in breast biopsies with dysplasia or cancer than in normal breast tissue from the same patient. In this study, using radioactive iodine "131I and 123I ns the radionuclide tracers ,evidence is presented showing that radioiodine uptakes in human breasts can be determined in vivo, that normal values by the technic employed were 1093 or less, and that abnormal (ie, dysplaslic or neoplastic) breast tissue has increased radioiodine uptake." Here is more proof that abnormal breasts have increased iodine intake, and this fact bodes well for fighting pre-cancerous (such as atypia) as well as actual breast cancers. BUT WHAT IS THE "KEY" AS TO HOW IODINE WORKS? ​ " Iodinated lipids, such as 6-iodolactone (6-IL), have been shown to regulate and promote apoptosis. Common sense would lead one to conclude that it is important to ensure adequate iodine intake in order to promote the production of iodinated lipids, such as 6-iodolactone. " --- Dr. David Brownstein, Iodine Why You Need It, Why You Can't Live Without it, Medical Alternatives Press, 2008. REMEMBER THAT IODINATED LIPIDS ARE CREATED WHEN IODINE BINDS TO FATS. In 2010, Rosner H et al. experimented with the effects of iodine and iodolactones (iodinated lipids - 6-IL - that promote cell death) on breast cancer cells and normal breast cells. The cells were "cultured in the presence of 10 microM molecular iodine (I2) for at least two days." And, similarly, for iodolactones at 5microM. Do iodine and iodolactones inhibit breast cancer cell growth? * Iodine decreased breast cancer cell growth by 60%. * Iodolactones (iodine-derived 6-IL) decreased breast cancer cell growth by 77.7%. * Normal breast cells were "much less affected by the iodine treatment". In this study, the researchers found not only that EFG (epidermal growth factor) was abolished, which would have promoted cell growth, but there was evidence of apoptosis (programmed cell death). All cancer cells generate tons of ROS - reactive oxygen species. At low levels, ROS can be helpful with cell signaling, but at high levels, ROS may be damaging, and such sick cells need to be eliminated from the body. Thus, when the ROS is concentrated in the power-house of the cell, the mitochondria, the high concentration of ROS may "disrupt the mitochondrial transmembrene electrial potential, which could induce apoptosis in the mitochondria." But apoptosis is anathema to the breast cancer cell that is desperate to keep on living. The breast cancer cells are so desperate to live, that they can even wickedly "increase the expression of the genes involved in the antioxidant defense", such as glutathione, to buffer the ROS and try to STOP the apoptosis process in the mitochondria. ​Iodine is able to oxidize glutathione, thereby disrupting the glutathione pathway. Glutathione becomes reduced to reduced glutathione, which in turn is cytotoxic, and must be quickly oxidized back to glutathione. The researchers proved this by pre-treating the cells with N-acetyl-cysteine, the precursor to glutathione, which prevented the iodine from working This. "supports a mitochondria-mediated apoptotic mechanism". ​ Okay, this is just a cell study, with all of the inherent limitations of a cell study, but if taking iodine to fight breast cancer, should the patient avoid taking N-acetyl cysteine and glutathione - at least, not at the same time as iodine? IODINE-DERIVED 6-IL ANTI-TUMOR KEY - IS 6-IL (IODOLIPIDS) A "MAGIC BULLET" FOR BREAST CANCER WITH MINIMAL EFFECTS IN NORMAL TISSUES? "We propose that iodine supplements should be considered for use in clinical trials of breast cancer therapies." We learned, above, from the Rosner 2010 study, that both iodine and 6-IL (iodolipids) can inhibit breast cancer cell growth. Even in the Rosner cell study, the 6-IL was more effective than just iodine - 77% to 60% - in inhibiting breast cancer cell growth. In the Nava-Villalba M and Aceves C 2014 study, the researchers' focus is on the iodolipids (6-IL) - also called iodolactones - and their antitumoral properties. Iodine is capable of binding with lipids, specifically arachidonic acid, which may be present in large amounts in breast cancer cells. Arachidonic acid "is a polyunsaturated free acid present in membrane phopholipds in all mammalian cells. ... Pure arachidonic acid can be iodinated at each of its four double bonds." It is these iodinated lipids - iodolipids - that can have "antiproliferative and apoptotic effects on diverse cancer cell lines..."
Direct Mechanism of Action: Iodine is incorporated into the membrane via diffusion, where it binds with arachidonic acid molcules to generate 6-IL As was also demonstrated in the Rosner study, the the 6-Il "could activate the apoptotic mechanism as a result of ROS (reactive oxygen species) imbalance." Indirect Mechanism of Action: "By the 6-IL ligand with PPAR-y/RXR receptors (activated PPAR gamma may inhibit cancer cell growth), triggering cell cycle arrest, differentiation and apoptotic induction, and restrain the installation of chemoresistance." "... Long-term (3-8 months) 5mg/day I2 supplements, a dose similar to the intake of the eastern populations of Japan, have been shown to be safe for treatment of human mammary fibrocystic disease and breast cancer..." Thus, The preferentially local formation of 6-IL in proliferating or neoplastic tissues from organs capable of iodine uptake, together with its lack of damage to normal tissues allows I2 supplements to be considered a good example of the 'magic bullet' concept,"
COULD 6-IL PLAY A ROLE? ​In the 1996 Funahashi H et al. study, the researchers evaluated the effects of iodine on 7,12-dimethyl-benz(a)anthracene (DMBA)-induced breast tumors in rats. After being administered iodine for four weeks, the growth-suppressed tumors in the rats were found to have a "much higher iodine content" than in the tumors where the growth was not suppressed. DMBA is a toxin which can form estrogen-DNA adducts. From the formative work of Dr. Bernard Eskin, we know that there are microarray genes' analyses showing "evidence for an anti-estrogen effect of iodine". Thus, it is possible that the iodine in some manner was helping with hormone metabolism, with the detoxification of the estrogen, thereby decreasing tumor growth. In addition to hormone metabolism, the mircroarray analysis showed that iodine had an effect on estrogen-related "genes involved in the regulation of cell cycle progression, growth and differentiation." But could it be that the "key" to antiumoral properties, 6-IL, could have a role here? If there is iodine supplementation, isn't it arguable that the iodine derivative, 6-IL, could easily be formed in DMBA tumors, where there is reportedly more arachidonic acid and possibly tons of ROS as well? And wouldn't the tumors that have the most arachidonic acid and the most ROS form the most 6-IL? As 6-IL is the anti-tumor key, then the 6-IL could directly initiate cell self-destruction, or indirectly, be a ligand for PPAR gamma and trigger "cell cycle arrest differentiation, and apoptotic induction". The Editors wonder: Could 6-IL be a factor in the higher iodine content seen in the growth-suppressed tumors? The Nava-Villalba M et al. 2015 study elaborated upon and strengthened their research finding that iodine "can be a useful coadjuvant" in treating cancer in tissues that take up iodine, like the breast. "..Iodine has a protective effect against the progression of neoplastic diseases and inflammatory/proliferative pathologies. An important fact to consider is that these beneficial effects occur only at relatively high iodine concentrations (milligrams/day)." Directly, iodine can disrupt the mitochondrial membrane potential as an oxidant/antiodant and trigger apoptosis. And, indirectly, iodolipid intermediates are formed, namely 6-IL, that is found in normal and cancerous breast tissue in rats when there is iodine in the diet. Once iodine has some how diffused through the cell (not requiring the symporter system), the iodine can bond with proteins and lipids. And it is this bonding of iodine to fatty acids, the iodination of fatty acids, that generates several derivatives, including arachidonic acid, which yields 6-IL. 6-IL was found to activate PPARG. Thus, "Antiproliferative and pro-apoptotic 6-IL effects require the activation of PPARG." *Decreasing BRCA1 inhibition, thus permitting its inhibition of estrogen responsive transcription." Lighter halides, such as bromine, fluoride, and the chlorine derivatives, can displace iodine and create an iodine deficiency. Just a few of the problems with the halides, bromine, fluoride, and the chlorine derivatives, are elaborated upon below. Adequate iodine will help prevent displacement and/or chelate out these other halides. While much attention has been given to the fact that iodine has been taken out of the bread, and fluoride is in the drinking water, it is chlorine that is actually the most common halide. Dr. Hulda Clark believed that, "The water coming to your kitchen faucet brings the cancer-causing agent." In Dr. Clark's experience it was likely the buffers in the chlorox laundry bleach, not the legitimate food-grade bleach (NSF stamped) that was the cancer culprit. It was this wrong kind of laundry bleach (likely due to its buffers) that has polonium, and it is alpha radiation from polonium that may cause chromosomes to break. In the Harvey JB et al. 2015 study, the researchers found that rats that are exposed to bromodichloracetic acid (BDCA) develop mammary tumors. "This chemical is formed after disinfection of water with halogenated oxidants, usually chlorine." It had already been determined that rats exposed to BDCA had hyperplasia, fibroadenoma, and adenocarcinoma." a disinfection byproduct in finished drinking water with widespread human exposure.". In this 2015 study, the researchers found that cancers in rats exposed to the BDCA and rats not exposed to the chemical were very similar. However, "Gene expression analysis showed a positive trend in the number of genes associated with human breast cancer, with proportionally more genes represented in the BDCA-treated tumor group. Additionally, a 5-gene signature representing possible TgfB pathway activation in BDCA-treated adenocarcinomas was observed, suggesting that this pathway may be involved in the increased incidence of mammary tumors in BDCA-exposed animals." Dr. Brownstein wrote, "The most significant change in the iodine status of recent time occurred with the changing of the food industry. In the 1960s, iodine was added to the commercial baking industry as a dough conditioner. This single addition to baked goods significantly increased the iodine intake of the US population, as one slice of bread contained the RDA for iodine of 150 ug." But, then, some twenty years later, the halide, bromine, replaced the iodine in the bread. And, of course, just like chlorine and fluoride, "All halides compete with another for absorption and receptor binding in the body. Bromine interferes with iodine utilization in the thyroid as well as wherever else iodine would concentrate in the body." ... Dr. David Brownstein, Iodine, Why You Need It, Why You Can't Live Without It, Alternative Medical Press, 2008. In a 2014 article, 5 Secrets About White Flour That Will Shock You, the addition of potassium bromate was discussed. Not only has bleached white flour lost its nutritive value, but potassium bromate was added. "After removing all the layers and nutrients, flour is bleached, preserved, and aged with chlorine dioxide. It is further whitened by adding chalk, alum, and ammonium carbonate to make it look and feel more appealing to the consumer. An anti-salting agent called sorbitan mono-saturate is added in the final stage. potassium bromate is also added to white flour. It is a very powerful oxidizer that damages cells. Bromate is considered a category 2B carcinogen (=possibly carcinogenic to humans) by the International Agency for Research on Cancer (IARC). Potassium bromate has been banned in most developed countries in 1884, including all countries in the European Union (chlorine, bromates, and peroxides in food is banned in the EU), UK, Canada." (See Admin, http://livingtraditionally.com/5-secrets-white-flour-will-shock/, 2014). Editors' Note: Potassium bromate and chlorine dioxide in bleached flour - a double whammy! Where else is bromide found? " Flame Retardants: "Some of the older ones (flame retardants), like the PBDEs, have been the subject of thousands of studies and have since been taken off the market (although many of us still have them in our furniture)." But there still are flame retardants in "almost all of upholstered furniture." Foam in furniture is filled with air. When a person sits on a couch, some of the air in the foam is "expelled into the environment. ..... Studies have found that young children, who often play on the floor and put toys in their mouths, can have three times the levels of flame retardants in their blood as their parents. Flame retardants can also pass from mother to child through the placenta and through breast milk. .....One of the most commonly used flame retardants is chlorinated Tris." "The flame retardants in furniture .... are just the tip of the iceberg — there are hundreds of millions of pounds more of them embedded in electronics and building insulation." (For a wonderful article, see, How Dangerous is Your Couch?, http://www.nytimes.com/2012/09/09/magazine/arlene-blums-crusade-against-household-toxins.html?_r=1, 2012) Editors: Note: Is bromide in these products? Are chlorine derivatives in these products? FLOURIDE AND PINEAL GLAND: Joseph Mercola, PHD, wrote, "The pineal gland is a small endocrine gland located between the two hemispheres of your brain. ...One main role of your pineal gland is to produce melatonin, the natural sleep hormone that plays a vital role in your normal sleep function. Melatonin is not only necessary for proper sleep however, it also regulates the onset of puberty and fights against harmful free radicals. When your pineal gland function is suppressed, melatonin production suffers and you are putting yourself at risk for a number of startling conditions ..."
Further, "One form of pineal gland stress is known as pineal gland calcification -- the cause of which may be shocking to you. Sodium fluoride, present in your drinking water and certain store-bought products, and other sources such as Prozac (fluoxetine), fluoroquinolone antibiotics and non-stick cookware could all be contributing to the alarming increase in pineal gland calcification. ...Thanks to research first conducted research by the University of Surrey in England in 1997, it is now known that the soft tissue of the adult pineal gland contains more fluoride than any other soft tissue in your body. In fact, the levels of pineal gland fluoride examined in the study were high enough to inhibit enzymes." In the Anisimov VN et al. 2003 study, the researchers explored the role of the pineal gland in breast cancer development. "An inhibition of the pineal function with pinealectomy or with the exposure to the constant light regimen stimulates mammary carcinogenesis, whereas the light deprivation inhibits the carcinogenesis. ... Epidemiological observations on increased risk of breast cancer in night shift workers, flight attendants, radio and telegraph operators and on decreased risk in blind women are in accordance with the results of experiments in rodents." In rats with surgically removed pineal glands, supplementing with melatonin helped to prevent breast cancer, whether subjected to a light/dark cycle, or with constant light. Also, pineal peptides may be able to stop breast cancer in rodents and may be useful in helping women at risk for breast cancer. ​ EDITORS' NOTE: Since fluoride is a factor in the calcification of and the dysfunction of the pineal gland, shouldn't supplementing with both melatonin and iodine be considered to stave off a breast cancer recurrence?